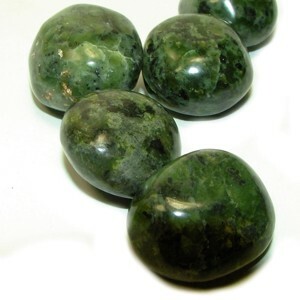 The Crystal of the Day for Wednesday 11 December 2013 is Jade which corresponds with Mercury. Jade is an ancient stone that has historically been used to attract love. Carved into a butterfly, in China it is a powerful symbol used to draw love. Jade can be used to bring money into your life. Create a positive attitude towards money and visualise yourself using money creatively and productively while holding the stone in your power hand. When making an important business decision, use the prosperous energies of jade by holding it while contemplating your course of action. Jade strengthens your mental faculties and assists in clear reasoning. Jade is also a protective stone, guarding against accidents and misfortune. Place a piece of jade between two purple candles and let the candles burn for a short while. Then carry the jade with you as a protection amulet..